The Grammy Award nominations have me feeling some type of way. I am elated with my favorite artists who are getting some love (Miley Cyrus and Katy Perry, for example), and I am irrationally upset by the snubs (like One Direction). Then there are the categories I am a little confused about. As I scrolled through the list of nominees, I was nodding my head as I read one expected name after another. Then I got to the contenders for Best Urban Contemporary Album, and had to ask, "Who is Mali Music?" Beyoncé: She's a staple, duh. Pharrell: It's his year, so I'm not surprised. Chris Brown: Well yeah, "Loyal" will never get old to me. Jhené Aiko: It's looks like her Drake association has paid off. 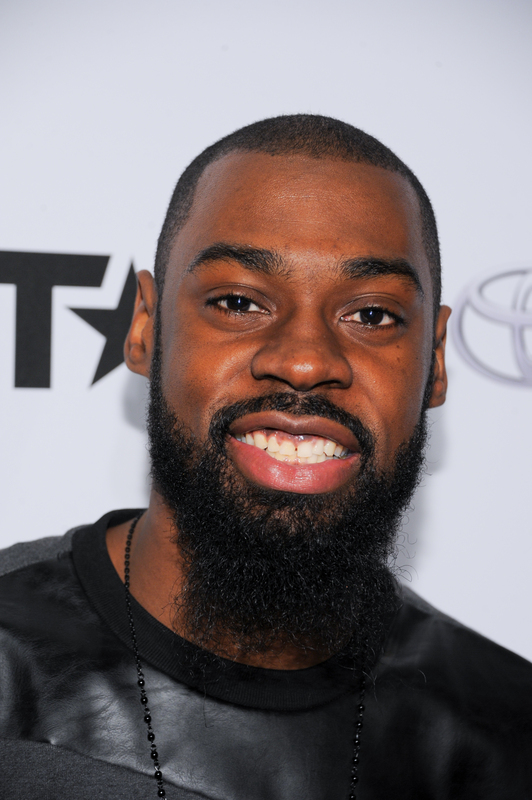 Mali Music: Wait, who? Is that group? Is that a person? I've never heard of Mali Music, the artist nor his album Mali Is... Being a pop culture addict, this saddens me. I pride myself on being up-to-date on everything entertainment. I cannot believe that I don't know who this is. Furthermore, if my previous Grammy watching experience has taught me anything, it's that the unexpected artists usually win. The Grammy awards do not always correlate with previous commercial success. In fact, they sometimes predict the success before it happens. This makes me want to know who this artist is and what his album is all about. I started making music so I could help put everyone at ease. Each Sunday that I came into this building, people were crying, praying, and repenting. My creativity had to be sharp to consistently come up with songs on the spot that reflected the emotion of the room. I had a responsibility early on, and I realized music could make you cry, make you dance, or even change your life. This sounds like the real deal, folks. Definitely not a sell out here. Mali Music doesn't just play the piano. He also plays acoustic guitar and electric bass in addition to singing and rapping. And in contrast, I can hardly hum. Life is cruel. He believes that music goes beyond lyrics and a beat. He believes that music is "about inciting physical, emotional, and spiritual change with nothing more than a beat, a melody, and a smile." This sounds like some life-changing stuff. He created a MySpace page in 2008 and started to develop a loyal following. Working from his family's garage, he released an an independent album called The Coming. Mali began performing in small shows around the country an released an album called 2econd Coming in 2009. He performed at BET's Music Matters event in 2011 which led to him signing with Akon. Let's not forget that Akon is the one who gave the world Lady Gaga and T-Pain. He is probably onto something great here with Mali Music. The album Mali Is... dropped in 2014 and was described as "walking the line between gospel and mainstream." Mali Music has been described as R&B's "best kept secret." And this is apparently true with him receiving his Grammy nomination today. Give his music a listen and unleash the secret.